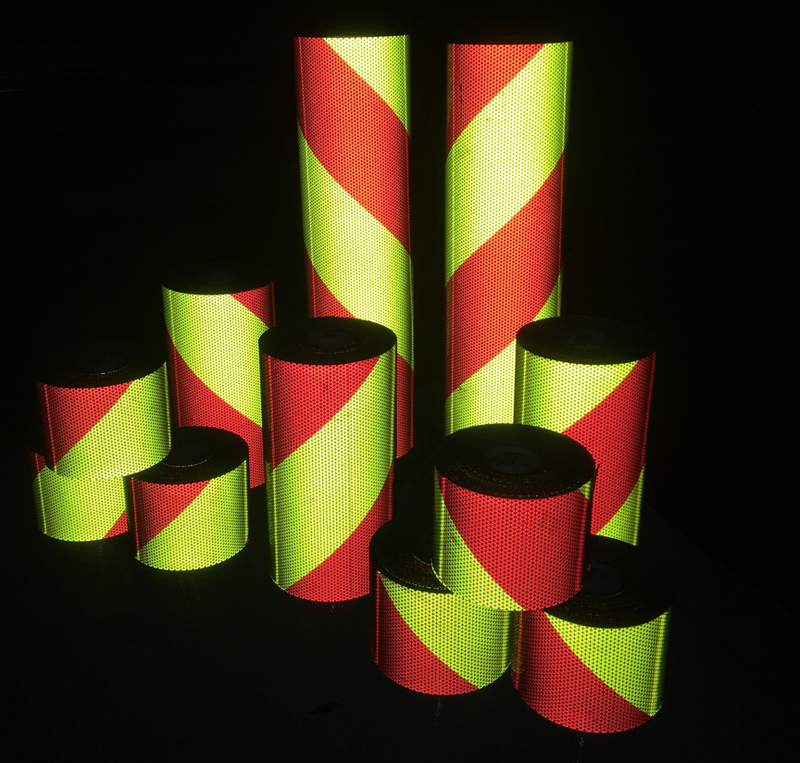 We now carry Pre-Striped Oralite V98 chevron rolls in red and lime. Sold by the foot , by the 30 foot roll, and by the 150 foot roll. Available in 1″, 2″, 3″, 4″, 6″, 8″, 12″, 15″, 18″, 24″, 30″ widths. 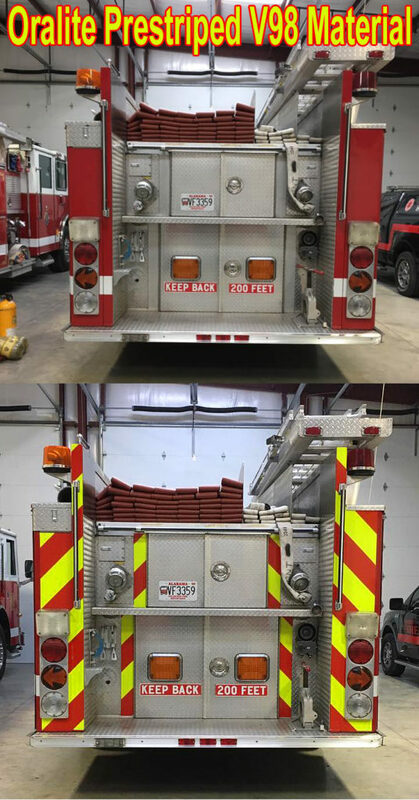 The stripes are 6″ wide on the diagonal and are NFPA compliant. We carry left and right slant rolls. 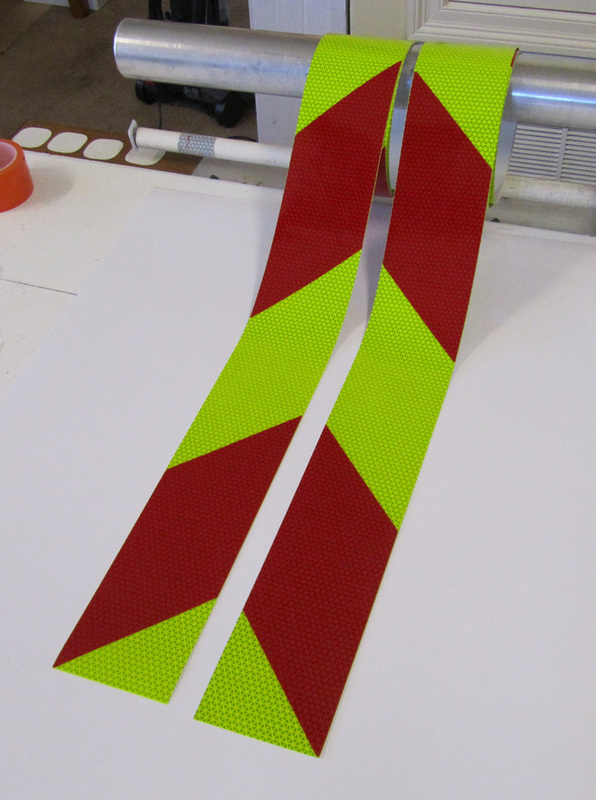 To create bi-directional chevron panels you would need a roll of each. 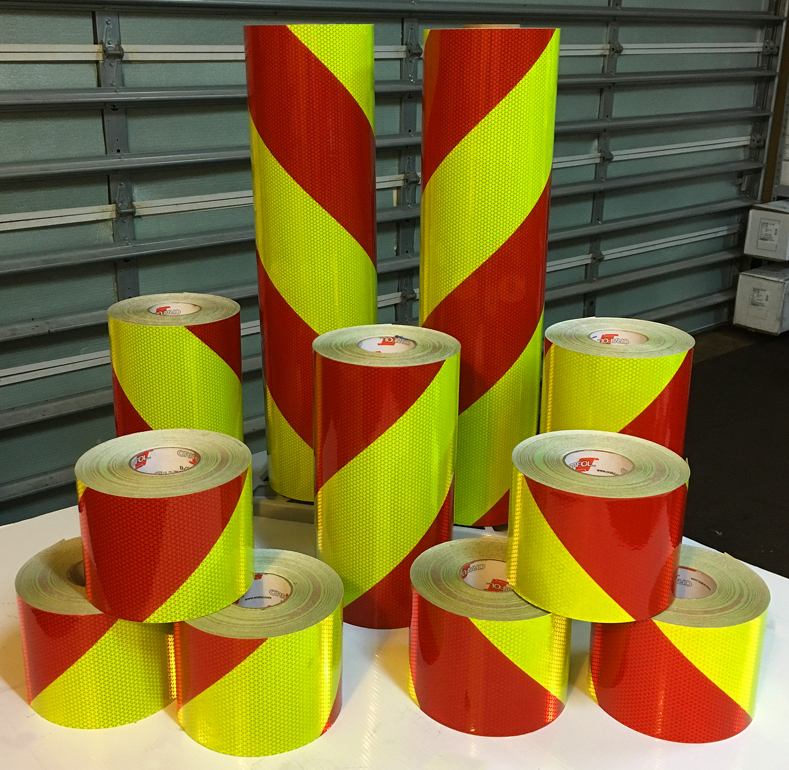 Then simply cut a section from each roll and join them in the middle or cut two pieces and apply one to each end of a bumper. 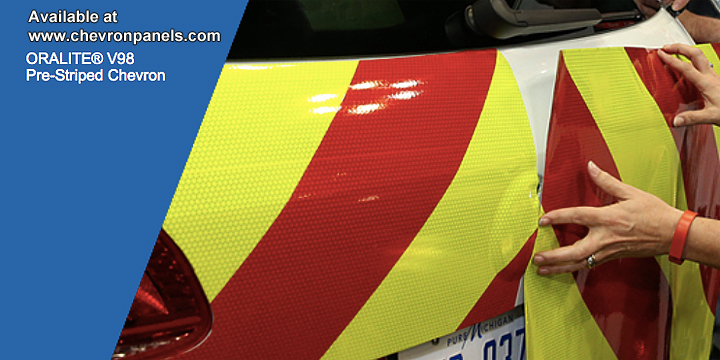 This is a popular product for companies and individuals who are striping fleets of vehicles and want the flexibility of being able to cut each panel to length. You can click here for more information and pricing.